“Breast reduction surgery at Elaen has made a big difference in how I look and feel. The results turned out even better than I had hoped for, Dr. Alejandro did a fantastic job.” — Jessie S.
Eláen Plastic Surgery Center is pleased to offer a wide range of aesthetic and reconstructive procedures that can be individually customized to meet the unique needs and cosmetic goals of our patients. 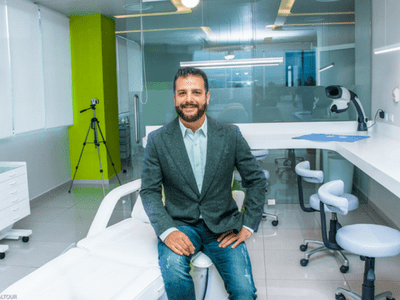 Dr. Alejandro Enriquez de Rivera Campero is a world-class plastic surgeon who stays up-to-date on the latest developments in the ever-evolving field of breast surgery — to provide his patients with superior breast reduction results. His compassion and artistry helps to alleviate the troublesome physical and emotional complications of enlarged breasts. 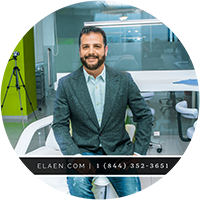 The plastic surgery team at eláen will conduct a comprehensive assessment of your breast composition, aesthetic preferences, medical history, and breast reduction goals, in order to choose the optimal incision type for your procedure. A breast reduction is a surgical procedure designed to correct the medical complications and painful physical symptoms of macromastia, also known as enlarged breasts. The heaviness of large breasts can create abnormal disruptions throughout the entire body, and may lead to weight gain by impeding one’s ability to exercise and live an active lifestyle.